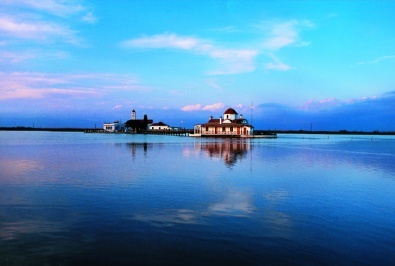 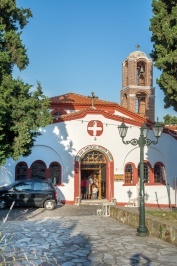 Stavronikita and Karakalos. 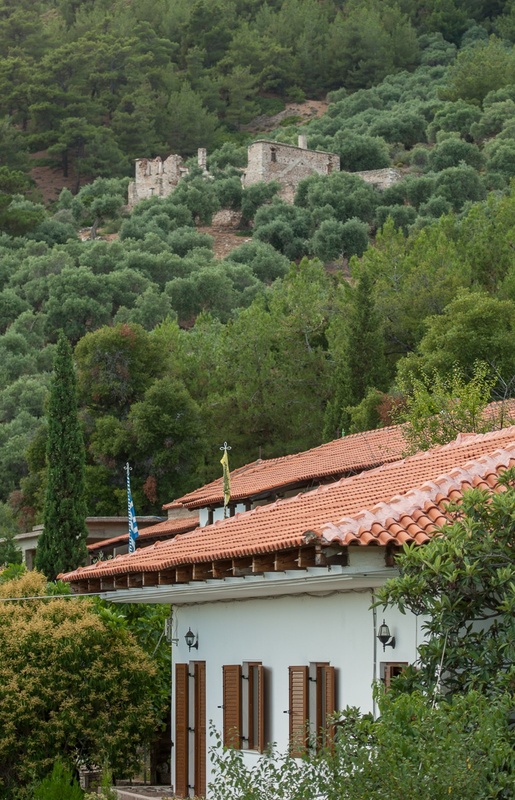 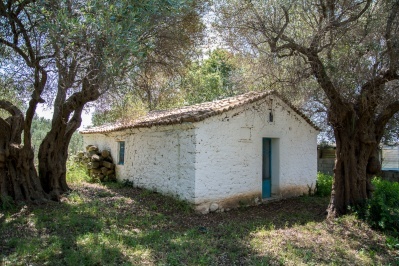 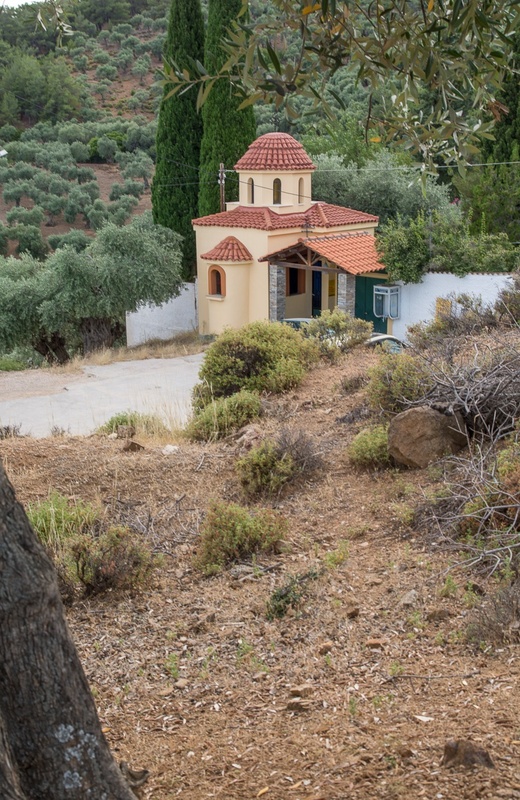 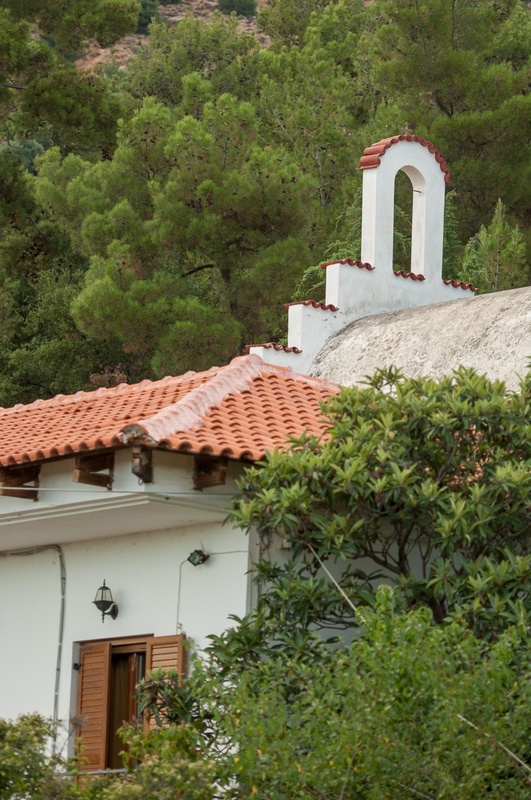 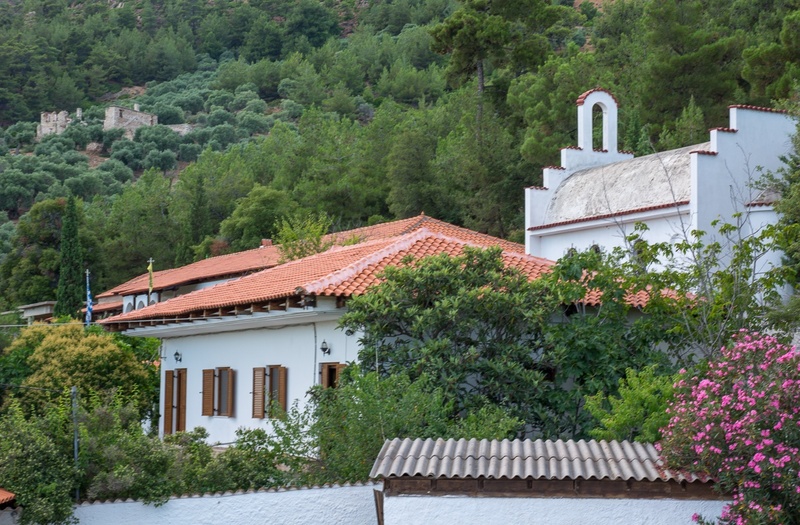 Today the whole space surrounding the dependencies together with the olive trees that once belonged to their respective monasteries of Athos, since 1932, has been acquired and held by residents of Maries and Limenaria. 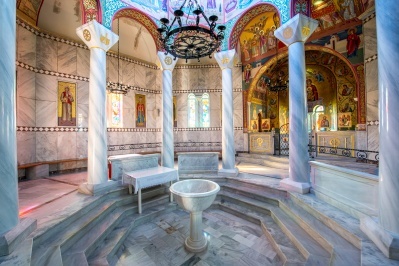 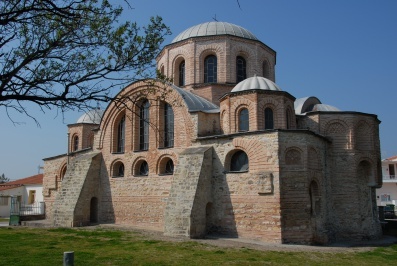 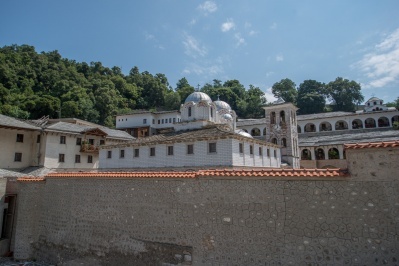 Today, apart from the main temple that is dedicated to the Dormition of the Holy Mary, there in a not integrated, at least the north side of the buildings of the monastery, which are the cells of the monks, the library and the beautiful church of Saint John the Baptist, and is indeed a right masterpiece. 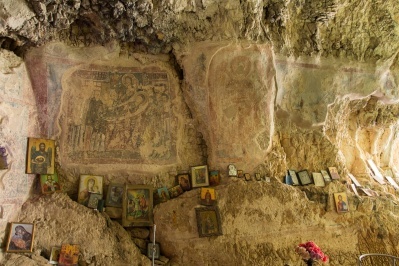 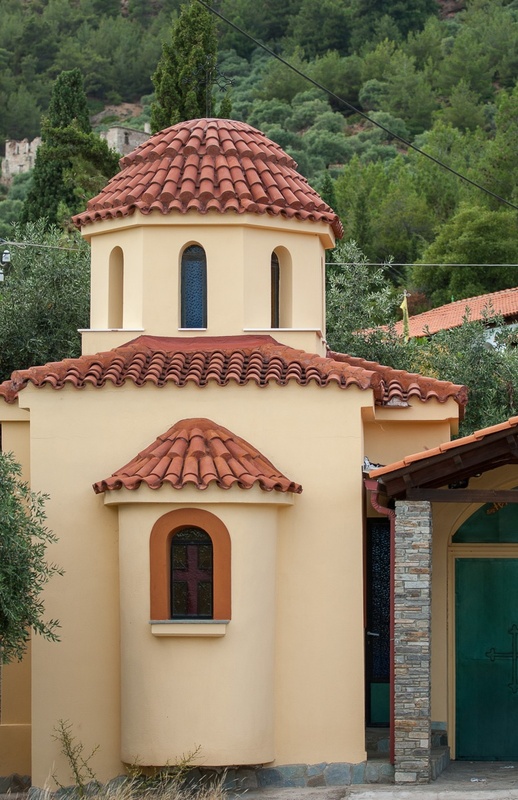 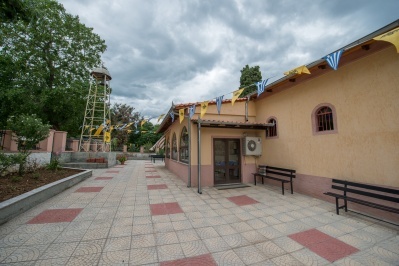 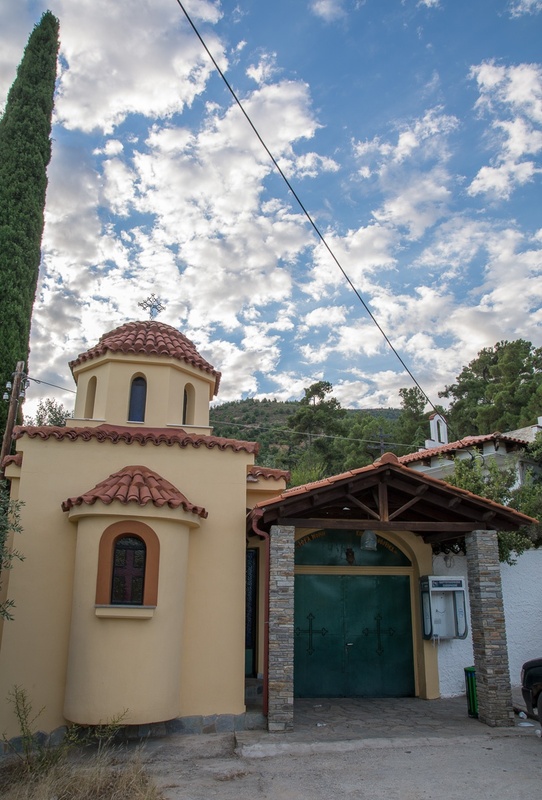 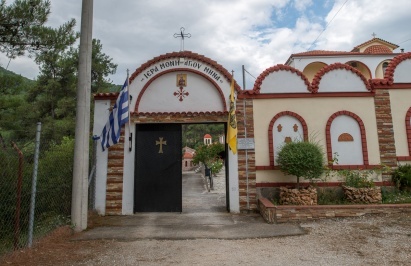 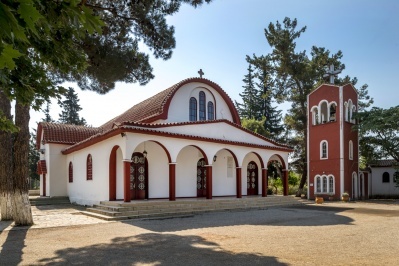 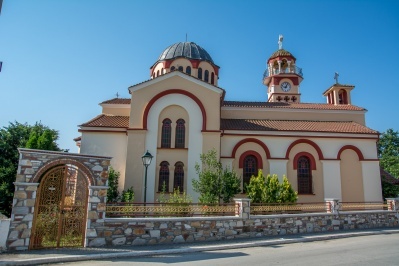 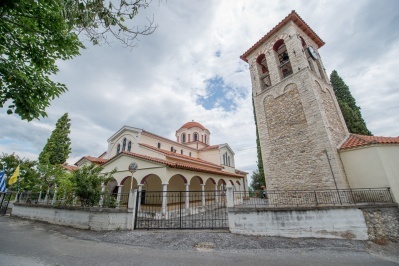 Still, there is a separate building to the right of the entrance of the monastery of Saint Panteleimon of Thasos with the leader Filothei, until they were temporatily housed in the monastery. 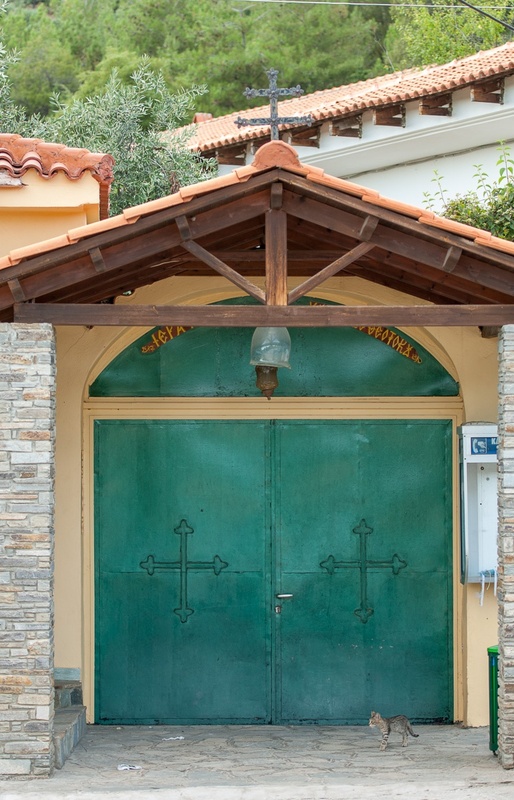 At last, at the southeast side of the monastery, left of this entrance, in Christass of 1989 was completed, the erection of a wonderful room for the welcoming of the pilgrimages. 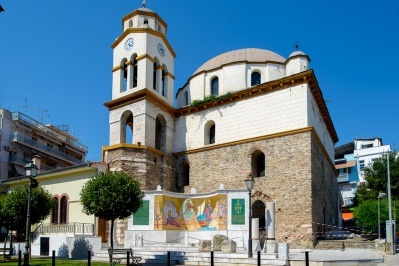 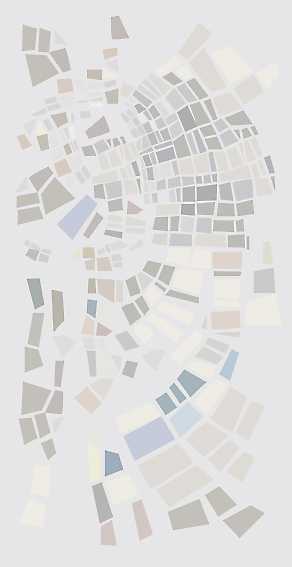 More information you will find in the web page of the Metropolis of Philippi of Neapolis and Thasos.